Immediately after UFC featherweight king Jose Aldo disposed of Chad Mendes to collect his 14th consecutive victory, with his last five coming in convincing title defenses, many wondered what was in store for the baddest 145-pounder in bare feet. Had the 25-year-old already waxed his division completely clean? Whether that statement is true or not is up for debate. One person that couldn’t agree more with the sentiment is a certain “Korean Zombie,” who believes he poses the final threat to Aldo’s throne. 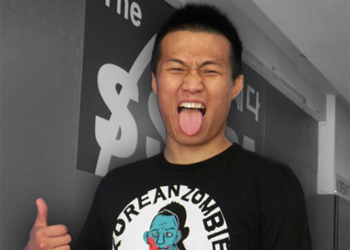 “Now I’m the only one,” Chan Sung Jung (Pictured) tweeted. While wildly popular for his never-say-die, Rocky Balboa-type fighting style, Jung barely cracks the Top 10 in many featherweight polls and is exiled from others. He had also lost two of his last three scraps prior to embarking on his current two-fight winning streak. Hatsu Hioki is ranked as high as #2 in several featherweight standings and would make the best argument to serve as Aldo’s next potential victim. However, after an admittedly less than spectacular victory in his UFC debut, the Japanese star must now prove his mettle next month against Bart Palaszewski. Aldo’s training partner, Diego Nunes, could also be in contention for a shot at the hardware. However, a loss to Kenny Florian followed by a decision win over Manny Gamburyan may not be enough to solidify his spot in line. Regardless of who is next, Aldo seems to have separated himself from his featherweight peers similarly to how middleweight G.O.A.T. Anderson Silva did several years ago.